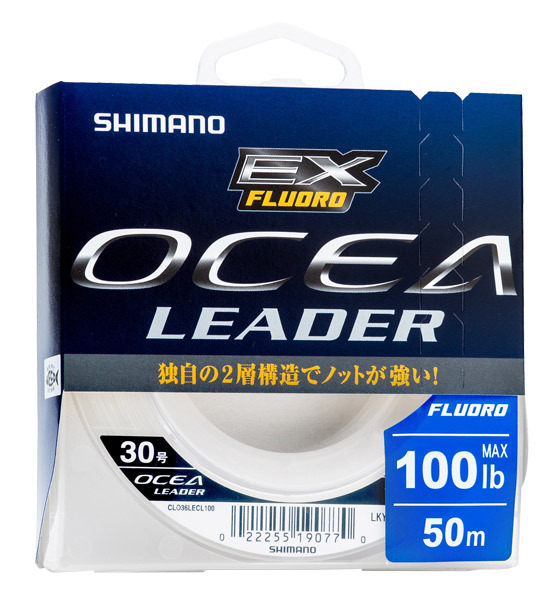 Shimano has utilized the latest and greatest line manufacturing technology and employ the strict quality controls to ensure Ocea EX Fluorocarbon performs beyond expectation. 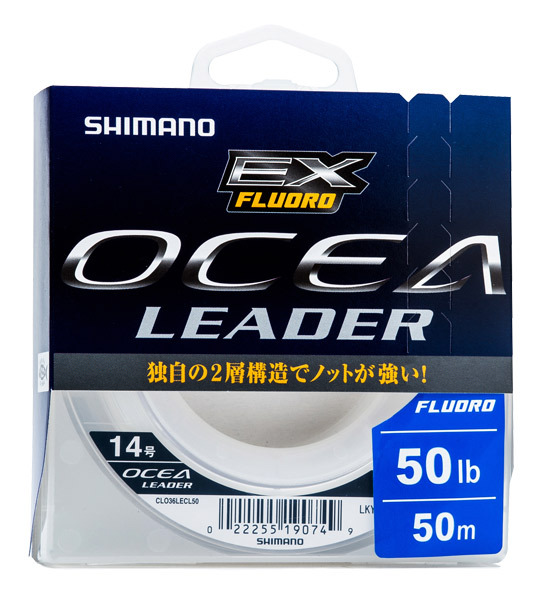 Shimano Ocea EX Fluorocarbon is made in Japan and consists of three separate layers that have each been carefully chosen for their individual attributes. 1. The outer coating is Fluorine which creates a very smooth surface meaning that this line will travel through the rods guides effortlessly and with minimal friction. 2. The next layer down is constructed from a harder fluoro-shell material that gives the Ocea EX Fluorocarbon extra abrasion resistance and over all strength. 3. The inner core has been engineered from a supple fluorocarbon material that removes the stiffness of traditional fluorocarbon leaders and makes tying strong knots that clinch tightly easier and more reliable. These features make the Shimano's new Ocea EX Fluorocarbon smoother, stronger that creates knots with greater integrity. 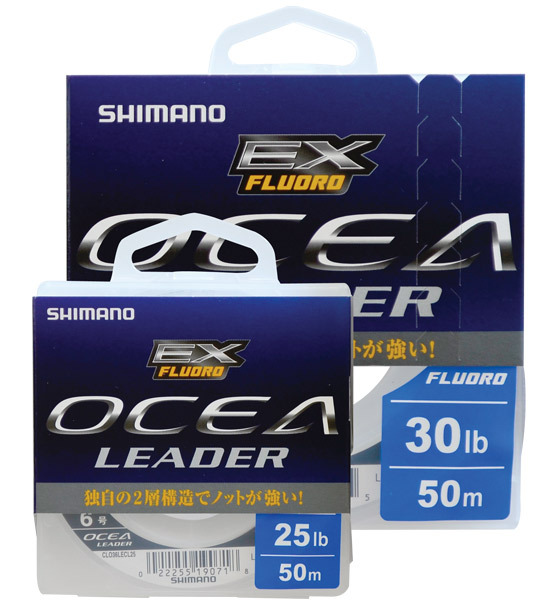 Shimano Ocea EX Fluorocarbon leader material is available in nine popular line weights - 6lb, 8lb, 10lb. 12lb, 16lb, 20lb, 25lb, 30lb, 40lb, 50lb, 60lb, 80lb and 100lb and comes in generous 50m spools.